In the summer of 2015, the anti-choice Center for Medical Progress released a series of deceptively edited videos of conversations their representatives had with Planned Parenthood officials, while posing as staff members at a biomedical company that disposes of fetal tissue. While the videos were completely misleading, anti-choice activists and politicians capitalized on the publicity to launch a series of attacks on Planned Parenthood, including threatening to shut down the federal government unless it defunded the organization. In response, Planned Parenthood organized a National Pink Out Day, with rallies and events in over 90 cities and free STI testing at their facilities nationwide. Local reproductive rights and justice supporters nationwide rallied behind Planned Parenthood in the face of these vicious, baseless attacks. 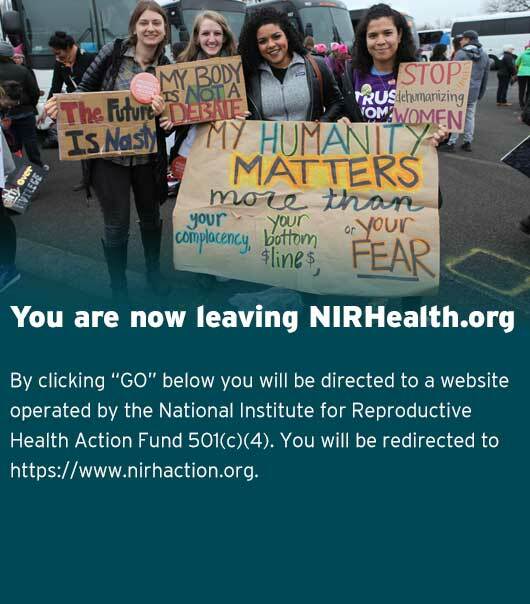 The National Institute for Reproductive Health stands with Planned Parenthood, a trusted healthcare provider for millions of people across the country, and all of the other activists and elected officials expressing their support. Read more about National Pink Out Day here and here. Planned Parenthood commissioned a report, covered by RH Reality Check, which demonstrated the deceptive nature of the videos. Many state investigations also showed no wrongdoing by Planned Parenthood. Representative Jason Chaffetz, one of the leaders of a House of Representatives hearing into Planned Parenthood’s federal funding, admitted that the congressional investigation found no wrongdoing. In October 2015, the city of Austin passed a resolution supporting Planned Parenthood. This resolution included language linking reproductive healthcare access to economic injustice and health inequity. It also specifically criticized the actions of the Texas Legislature that have chipped away at reproductive healthcare access. Pro-choice activists came out to support the measure and circulated a petition of support. After over an hour of testimony on both sides, the resolution passed. One of the two who voted against the resolution, Councilwoman Troxclair, explained that while she supports women’s healthcare access, she could not vote for a resolution that lifted up Planned Parenthood and no other providers. Read the Austin City Council resolution. Read local news coverage leading up to the hearing. NARAL Pro-Choice Texas posted a call to action on their blog asking for support for the resolution. My Statesman covered the resolution’s passage. Read the Bloomington City Council resolution. Read coverage of the hearing and passage in the Indiana Daily Student and WFHB. The Herald Times Online collected live tweets and photos into a blog post. In November 2015, the Dallas County Commissioners Court passed a resolution supporting Planned Parenthood and the organization’s participation in Texas Medicaid, which was cut off by the state. Judge Clay Jenkins, a champion for reproductive rights, led the effort following a passionate defense of Planned Parenthood’s value as a health care provider at an October Commissioners Court meeting. The resolution passed 4-1. Read the Dallas County Commissioners Court resolution. Dallas Morning News covered the resolution’s passage on their blog. Learn more about Judge Jenkins’s support for Planned Parenthood and their Medicaid defunding in Texas, from Dallas Morning News. Read the Los Angeles resolution text. Read coverage of the resolution here and here. Planned Parenthood of Los Angeles released a press statement supporting the resolution. An item on the Santa Barbara County Board of Supervisors’ administrative agenda created controversy in September 2015, when the Board entered for consideration a resolution condemning the heavily edited videos and recognizing the importance of Planned Parenthood’s services to their community. Its language fiercely condemned “anti-abortion extremists” who “intentionally misrepresent the facts in order to deceive the public.” The hearing included public testimony from roughly 20 anti-choice advocates and Jenna Tosh, the CEO of Planned Parenthood of Santa Barbara, Ventura, and San Luis Obispo; many Planned Parenthood supporters attended in the organization’s signature pink shirts, but they did not speak. Tosh came with letters of support from more than 70 community members who were unable to attend. The resolution passed by a vote of 3-2. Read the Board of Supervisors resolution text and public comments. Local news covered the County Board of Supervisors hearing here. Similar controversy attended a meeting on the same day at the Santa Barbara City Council, which considered its own resolution supporting Planned Parenthood in the wake of recent attacks. Mayor Helene Schneider, a former Planned Parenthood staff member, was part of the effort to introduce the resolution. The language of this resolution was less focused on the immediate controversy than that of the county’s resolution; it praised Planned Parenthood’s value to the community, but did not mention the videos or following anti-choice attacks. It passed by a vote of 5-2. Read the City Council resolution. Read more about both the County Board of Supervisors and City Council hearings here and here. In December 2015, the Salt Lake City Mayor’s Office of Diversity and Human Rights and the Salt Lake City Human Rights Commission named the Planned Parenthood Association of Utah one of their 2015 Human Rights Award recipients. This local pro-choice action followed a statewide funding cut to Planned Parenthood. According to Kilo Zamora, chair of the Human Rights Commission, the award was “about women’s health,” not politics, reclaiming the value of the health care provider to the Salt Lake City community outside of extremist political rhetoric. Deseret News and the Salt Lake Tribune covered the awards announcement. Read about the awards ceremony in the Salt Lake Tribune. The Seattle City Council and Mayor Ed Murray passed a joint resolution supporting Planned Parenthood in October 2015. This resolution followed a 2014 Seattle City Council resolution supporting public health coverage for abortion care and the repeal of the dangerous Hyde Amendment (read more about these resolutions here). Councilmembers spoke about the importance of Planned Parenthood’s health care services to low-income communities in Washington State: Council President Tim Burgess said, “while some groups want to use lies and misinformation to smear Planned Parenthood’s reputation, in Seattle we recognize quality health care when we see it.” The Council unanimously passed the resolution, with the Mayor concurring. The Capitol Hill Seattle blog covered the resolution’s passage. Read releases by Mayor Murray and Councilmember Sawant.